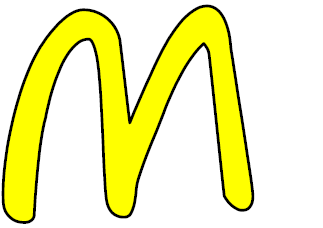 There are many restaurants in the world, but probably the most famous is McDonald's. McDonald's (1) ____ more than 34,000 restaurants around the world in 119 countries, and they serve about 68 million customers every day. The story of McDonald's began (2) ____ 1940 when two brothers, Richard and Maurice ('Mac') McDonald opened a new Restaurant called "McDonald's Famous Barbeque". It (3) ____ a successful business, but the brothers wanted to (4) ____ more food and make more money, so in 1948 they made some changes. For example, they (5) ____ a new way to (6) ____ and serve food (7) ____ - and McDonald's became one of the first fast food restaurants in the world. (8) ____, they made the menu more simple: hamburgers, cheeseburgers, sodas, and milkshakes. There (9) ____ no longer any waitresses to serve food, so customers ordered food by themselves at a counter. In 1954, (10) ____ called Ray Kroc joined the company and later bout it for 2.7 million dollars. The company is now worth many billions of dollars. (11) ____ a McDonald's museum that is located in San Bernardino, California where the first McDonald's was built. It's open daily (12) ____ 10:00 a.m. to 5:00 p.m.